The health effects of Canada's dilapidated immigration system are one of the scariest, most shocking, and disgusting parts of the immigration fiasco. These pages will sketch a picture of the effect of unchecked immigration on us; This may have been ignored by Canada's ruling Elite, but carries dire consequences for hundreds of thousands of helpless Canadians. "More than 1,800 people will have to undergo tuberculosis testing next week after a Scarborough high school [Agincourt Collegiate] student was diagnosed with the potentially fatal disease." (Toronto Sun, January 13, 1998). Conspicuous Consumption: Immigration Can Kill You!!! Since we reported Health/Immigration Canada's woefully inadequate TB screening process, the predictable results are beginning to show like shadows on a tubercular lung. "More than 1,800 people will have to undergo tuberculosis testing next week after a Scarborough high school [Agincourt Collegiate] student was diagnosed with the potentially fatal disease." (Toronto Sun, January 13, 1998). "Tuberculosis tests will be carried out on 200 Revenue Canada employees next week after a co-worker at a Town Centre Ct. office tower contracted the disease." (Toronto Sun, February 11, 1998) "More than 20 people who attend St. Patrick's Adult Day School in Ottawa are being monitored for signs of tuberculosis after the highly contagious infection was discovered in a student. ... The woman, who had emigrated from the Philippines several years ago ... is being monitored daily by a homecare worker. [Let us hope the admitting immigration officer has offered to pick up the tab] ... The disease, normally found in lungs or lymph nodes, has become so rare in North America that doctors no longer vaccinate children against it." 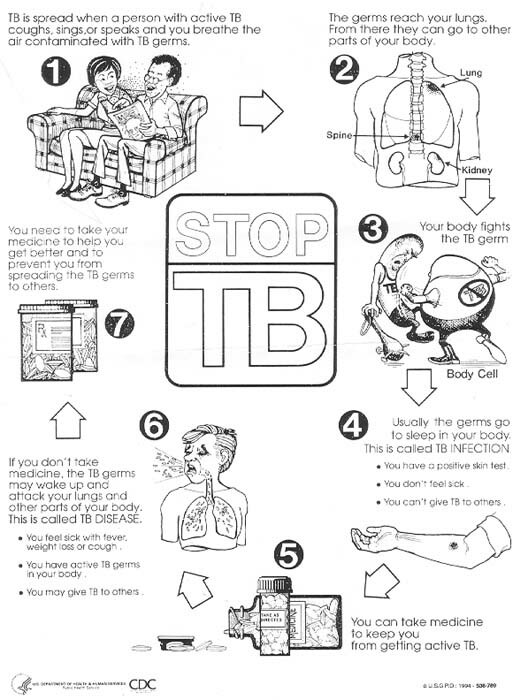 (Ottawa Citizen, January 30, 1998) TB is a reportable disease. When students or co-workers are advised to report, it may come as a rude shock, but how were concerns over an emerging AIDS epidemic and tainted blood scandals handled by Canadian authorities? Well the crucial thing was to save their bacon, ensure that the gay community was not "scape-goated" and - until the lawsuits started rolling in - deny that there WAS a problem. During the 1950s and 60s, emigrants were subject to rigorous and recurring medical examinations before they qualified for admission to Canada. The question of "DPs and Disease" occupied pride of place in newspapers at a time when Canadians actually believed that fit and healthy immigrants were in some way, superior. This instinct for self preservation came to be seen as "not quite nice" and fell into disrepute about the time the immigration axis shifted to precisely those areas of the world most crippled by debilitating, wasting diseases. One wonders in vain why the Government of Canada would neither alert Canadians, nor recommend BCG vaccinations, confronted as we are by the double-barrelled threat of a global TB epidemic, and a collapsing domestic health care system. Canada's public health strategy consists of maintaining the same indictable silence, while presumably waiting for infection rates among the Canadian-born to match those of newcomers -- and they almost certainly will -- to do otherwise could very well hurt someone's feelings. 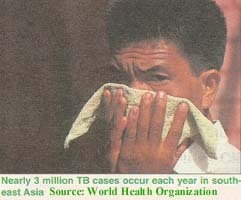 Nor has the threat posed by tuberculosis gone unnoticed. Last September, Toronto's medical officer of health, Dr. David McKeown warned, "the conditions for such resurgence already exist in Toronto. These include: high levels of immigration from countries where TB is prevalent (78% of cases are foreign born), increasing prevalence of HIV infection, [AIDS is the leading cause of premature death among men in Toronto] crowding in drops-ins and shelters for the homeless who are at increased risk, and increasing poverty. Currently 15 per cent of TB cases are resistant to commonly used antibiotics, 9 percent are known to be infected with HIV, and nine percent are homeless. ... Based on the combined 1997 budgets of the seven current municipalities, public health represents 1.7% of the expenditures of the new Toronto." (Threats to Health in the Changing City: Choices for the Future, September 9, 1997) What's wrong with this picture? High immigration was supposed to eliminate poverty and homelessness. Aren't we equally assured that robust immigrants are far healthier than doddering old Canadians? Perhaps 'tuberculosis management opportunities' will eventually rival ESL as a growth sector in Canada's mighty immigration industry! The identical trend has been noted in Australia, where MP Pauline Hanson, "accused successive governments of letting people infected with hepatitis B and tuberculosis migrate to Australia over the past two decades. 'I put it to you that rather than discriminate against seriously infected foreigners, our governments chose to discriminate against its own citizens and endanger all Australians,' she told a meeting in Brisbane. 'To add insult to injury, they further endangered us by not embarking on a drive for immunisation to protect us because to do so would have meant disclosing what they exposed us to.' ... 'We must keep our young people, especially students sharing school equipment and things like musical instruments, from being exposed to diseases imported from overseas.'" (South China Morning Post, March 23, 1998) "A sudden rise in new tuberculosis cases has prompted fears of a resurgence of the killer disease in Hong Kong. The rate of increase has doubled over the past year." (South China Morning Post, March 23, 1998) Australia (population 18,031,000 in 1995) "has an immigration quota for the fiscal year to June 30, 1998, of 68,000." (Toronto Star, March 20, 1998) Compare Canada (population 29,600,000 in 1995) which (again) plans to make room for 200,000 - 225,000 immigrants during 1998. "The infection rate among foreign-born residents under the age of 30 is 20 times that of Canadian-born residents. ... People born outside of Canada accounted for 77 per cent of TB cases in Montreal, although only 23 per cent of the population is foreign-born. ... [Montreal public health researcher, Dr. Terry Tannenbaum, ventures,] 'It's important to treat every case of tuberculosis, so we need programs that are adapted to cultural diversity and which ensure that drugs are free.'" (Globe and Mail, March 21, 1998) The drugs aren't really "free" though - are they? One might as well say that ESL programs adapted to cultural diversity are "free" too. "During the past decade, rates of TB among Canadian-born residents have continued to decline. ... On the basis of the population in the midpoint census year of 1991, [there was] a decline in annual incidence from 5.4 to 3.3 per 100,000. During the same period, the number of cases among foreign-born residents rose from ... 18.8 to 24.4 per 100,000. ... [Globally,] estimates for 1990 of TB incidence, which takes into account under-reporting, were 237 per 100,000 in Southeast Asia, 191 in Africa and 127 in Latin America. About 95% of the 8 million cases reported annually occur in the developing world. ... Over the past 12 years the number of immigrants to Canada has more than doubled, from 84,302 in 1985 to the current level of about 250,000. At the same time, the predominant places of birth of these new Canadians has shifted substantially. It is tempting to speculate whether an infectious person manages to come into contact with the same number of people during 2 busy years in densely populated Montreal as his counterpart might do over the course of 11 years in sparsely populated southern Alberta. In Montreal, it is people supposedly in their most productive years who suffer "the highest age-specific rate for foreign-born residents (62.8 per 100,000) occurred among those aged 15-29 years. For Canadian-born residents, the highest age-specific rate (10.0 per 100,000) occurred among those aged 65 and over. ... Among the patients born outside Canada 24.0% were from Haiti (mean annual rate 133.5 per 100,000) and 14.3% from Vietnam (mean annual rate 137.0 per 100,000)." 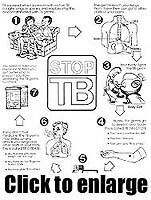 (Epidemiology of tuberculosis in Montreal, Paul Rivest MD, MSc; Terry Tannenbaum, MD, MPH; Lucie Bedard, MSc, MPH, CMAJ, March 10, 1998) During a five year study of new TB cases in southern Alberta, "immigrants to Canada accounted for 70.6% of the cases. On the basis of a mid-study estimate that foreign-born residents accounted for 16% of the population of southern Alberta, the annual incidence of TB in this group was 25.8 per 100,000, which is more than 21 times greater than the annual incidence among Canadian-born non-aboriginal residents (1.2 per 100,000). ... Of the [infected] immigrants ... 73.4% were born in Asia ... China, Hong Kong, Vietnam, the Philippines and the Indian subcontinent. [By 1996, these countries represented five of our top immigration sources.] A 1990 survey "estimates that up to 600 people per 100,000 in China had some form of tuberculosis ... in India today, every second adult is infected with the tuberculosis bacterium." (WHO Annual Report, 1997)] ... Compliance with preventative therapy may also be particularly poor among Asian immigrants. ... The mean interval between arrival in Canada and diagnosis of disease was shorter for those from Asia (9.1 years) ... than those born in other regions (17.2 years). ... This study has shown that the increased risk of TB among immigrants persists for many years after their arrival in Canada. ... There was a trend for a longer period to diagnosis among younger immigrants. "Citizenship and Immigration Canada protects the safety and public health of Canadians through the medical examination of all immigrants." (CIC Report on Plans and Priorities 1998-99, March 26, 1998) "22 countries account for 80 per cent of the world's tuberculosis cases ... Afghanistan, Bangladesh, Brazil, China, Democratic Republic of Congo, Ethiopia, India, Indonesia, Iran , Mexico, Myanmar [Burma], Nigeria, Pakistan, Peru, Philippines, Russia, South Africa, Sudan, Tanzania, Thailand, Uganda and Vietnam." (Vancouver Sun, March 19, 1998) Canada's top ten source countries for immigration in 1996 were: Hong Kong, India, China, Taiwan, Philippines, Pakistan, Sri Lanka, U.S., Iran, U.K........... (Citizenship and Immigration Canada) "A study released by the World Health Organization last October said that eruptions of antibiotic-resistant TB in "hot zones" on at least four continents threatened the global spread of virulent new strains of the disease. 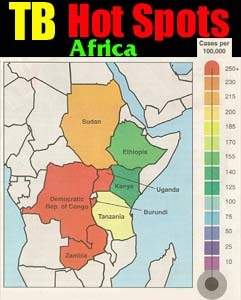 Hot zones ... were found in India, Russia, Latvia, Estonia, Argentina, Dominican Republic and Ivory Coast." (Edmonton Journal, March 25, 1998) "Multi-resistant TB drugs can cost up to $250,000 U.S.. per patient to treat, with a cure rate of only 50%." (Toronto Sun, October 23, 1997) "Russia has the dubious distinction of harbouring the most TB cases in the developed world and openly resisting WHO recommendations for diagnosis and treatment. ... Russian health officials, for example, insist on requiring costly chest X-rays to diagnose TB, rather than sputum samples. ... The rising number of TB infections in previously low incidence countries to which Russians have been emigrating has made health official's worst fears a reality -- the epidemic can and will transcend borders and social classes. [This ought to please the Marxists, they've been looking for an equalizing tool to eliminate distinctions for some considerable time] ... The rate in this country of 148 million is 75 per 100,000." (Toronto Star, March 25, 1998) It's unlikely that Russia's example -- allowing a health care system to crumble -- will serve as a cautionary tale for Canadian officials; it's been a very long while since Canada troubled itself with the health and well being of Canadians. John Bunyan called tuberculosis "the captain of all these men of death"; it has variously been known as the white plague and more familiar to us consumption (referring to what happens to infected lungs). Tuberculosis is so ancient as to show up in the bones of Egyptian mummies and illustrations from the Middle Ages show physicians garbed like birds with enormous protective "beaks" full of posey, ministering to the infirm. During the European tuberculosis pandemic of the late 18th century, England lost fully a quarter of the population. Within living memory, people carried consumption bottles (to quietly spit blood into). In other words, it has always been with us. In 1876, the bacillus was identified, and aggressive management and the discovery of streptomycin in 1943 brought tuberculosis to its knees for the first time -- but it was only down -- not out. Life in a multicultural society is becoming a death defying act - and if we can neither monitor our borders nor prevent people from spitting in the street without fear of reprisal - we will lose. Infection with tuberculosis is a life-long event. It may pass into remission but a weakening of the immune system will almost certainly reactivate it. Judging by current rates of infection in Canada, and knowing that "a person with active TB will typically infect 10 to 15 other people in the span of a single year," (WHO) means that health officials should be answering some hard questions. Why does Health Canada persist in squandering multi-millions "educating" Canadians about passive-smoke when "the worst [studies] purported to show that constant exposure to second-hand smoke posed a danger approximately equal to that of drinking two glasses of milk a day." (Globe and Mail, March 23, 1998) "The WHO [World Health Organization] has spent nearly a decade on research to produce a 200-page report, but condensed and published its findings on a single page. The findings say people who live or work with smokers have little to fear from passive smoking. They even suggest the smoke could have a protective effect." (London Times, March 8, 1998) In a world where you're forced to love everyone, it's okay to hate a smoker. After all, you can't tax tuberculosis.